In the past few years, Horseshoe Beach hasn’t had lots of attention from outdoorsmen who live outside the Natural North Florida region. That’s bad, as it’s a great place to fish—and to relax! This small town, billed as “Florida’s Last Frontier”, is about 25-miles west of Cross City, at the end of CR351. There are condos there, a couple of (very nice) boat ramps, vacation rentals, a couple of nice eateries, and some terrific fishing. There’s also good access to the scalloping grounds just north towards Steinhatchee. But the “marina situation” has lacked polish for a few years. Now, with a recent injection of interest and cash by Dennis Buckley, the “new” Horseshoe Beach Marina is a welcome addition to the growing attraction of this small coastal town. 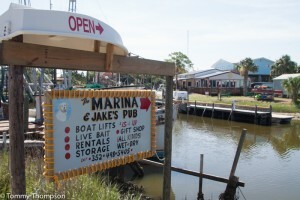 Located at 262 3rd Street, the marina is on its way to becoming full service. 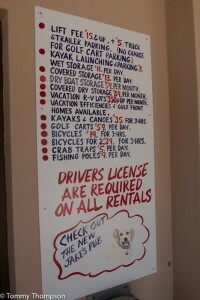 There’s non-ethanol gas, a big boat lift, live and frozen baits, canoe and kayak rentals, wet and dry slips, trailer storage, and more. I stopped by this past Sunday and was greeted by Nancy and Steve, the operators, and given the grand tour. 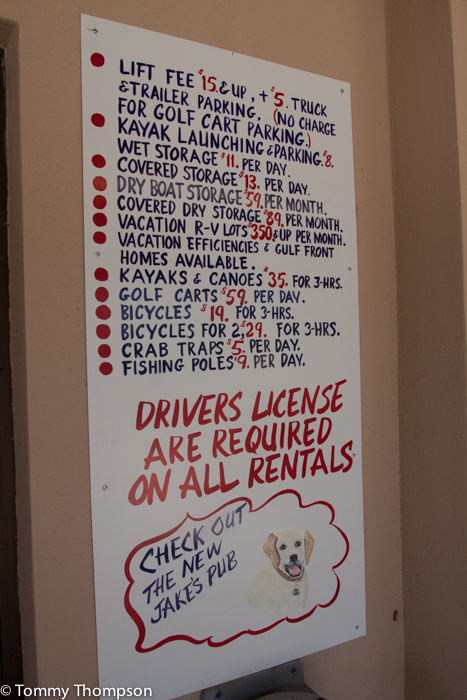 Not only do they have the “usual” marina things, but they also have a couple of nice rental houses, as well as RV spots right on a corner of the property. In fact, the overall impression I got was that they were willing to go out of their way to keep their customers happy at all costs!